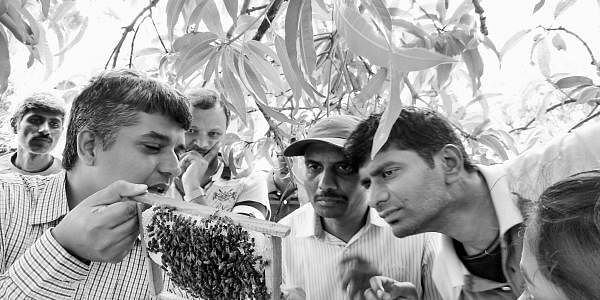 BENGALURU: Guruprasad Rao and Apoorva BV started running an apiary in 2008. Then Apoorva was a student of engineering and Guruprasad was just winding up his career in IT. Both of them were always interested in bees and in 2011, they made the insects their full-time job. They now train people to keep apiaries. "There are three kinds of students. One is of hobbyists and urban beekeepers who want to keep one or two bee boxes in their house. The second is planters with coffee and coconut and farmers of vegetables and fruits. The third are commercial beekeepers who have an apiary and harvest honey," says Guruprasad, who is holding a workshop for beekeepers on September 24. They have one once every month. In the classes students are taught the importance of bees and shown how to keep a bee box. "We breed a species apis cerana indica that does not attack people," he says. After the workshop, there is support provided like the urban beekeepers who are part of a WhatsApp group. "There are about 40 of them in the city and any query they have they can ask on the group," he says. Guruprasad and Apoorva have apiaries of their own where they breed Indian and European varieties. Recently the Khadi and Village Industries Commission signed them on to train interested beekeepers. "People had not been keeping bees for the past 10 to 15 years, there are few who know how," says Guruprasad. Bees are not kept as a pet of fancy. They serve a very important ecological function, says the apiarist. "They are important pollinators," he says, adding, "Einstein said that if bees were extinct, we would have only food for four years." There are also the products of honey and bee venom. "Beekeepers rarely get malaria, cancer or arthiritis because of the occasional sting," he says. Planters and farmers are interested in beeboxes because they can cause an impressive spike in yields. "If you keep three bee boxes per acre of a vegetable farm, the yield increases by 90%. If you keep them in an acre of coffee plantation, the yield goes up by 30% and, in arecanut grove, the yield can go up by 25%," says Guruprasad. "But very few know of this... In America, if beekeepers don't reach the Californian almond plantations, then the yield can fall to 10%. There beekeepers are treated as gods." Here people treat bees as pests. 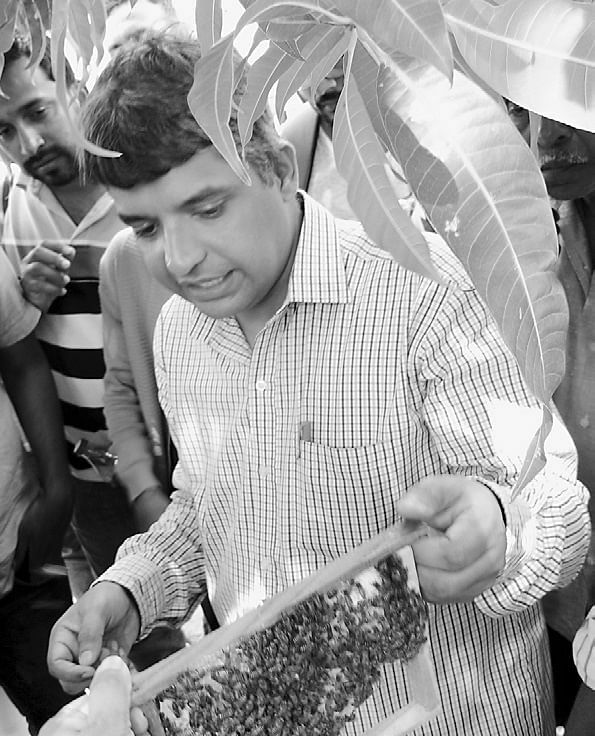 "Humans are the biggest threat of bees in the city," says Guruprasad. "They spot a hive and call the pest control, they really shouldn't." Bees stay for two to three months and there are ways to ensure that they don't return. "If they must rid themselves of the hive, they can call us and we'll get it out without killing a single bee," he says. Whenever they do take a hive down in an apartment complex, the two beekeepers hold a presentation. "We explain why the bees are important and harmless," says Guruprasad. "And the end of the session, they mostly say that the bees can stay for the few months."